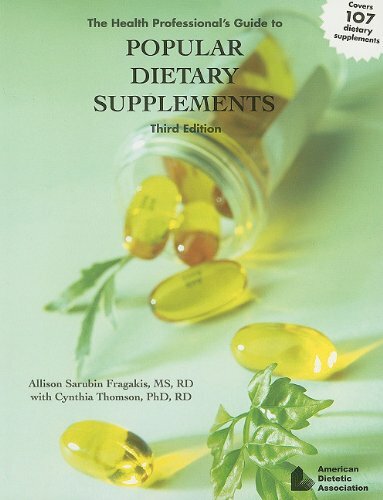 Twenty-nine new dietary supplements have been added to this edition! This guide comprehensively explores the media claims, drug-supplement interactions, dosage information and relevant research for more than 100 of today's most popular dietary supplements. Completely revised, updated, and indexed information is provided for dietetics professionals and their clients. Written by industry experts, this guide's recommendations are reliable and backed by credible clinical research.